Bottom Line: A cellarable barley wine with a nice spectrum of malty, complex spicy flavors. English style barley wines are golden copper to dark brown in color and range from 8-12% in alcohol. They are characterized by extravagant caramel malt flavors and bitter hops that prevent their malt sweetness from being cloying. English versions of this style typically feature rich, complex malt flavors including caramel, toffee and molasses to name a few. This style ages remarkably well, with aged versions showing oxidized port and sherry-like flavors and aromas that add to the overall complexity. Some examples are vintage dated and can improve with extended bottle age. These powerful brews are classically sold in small "nip" bottles and can be consumed after dinner or with dessert. 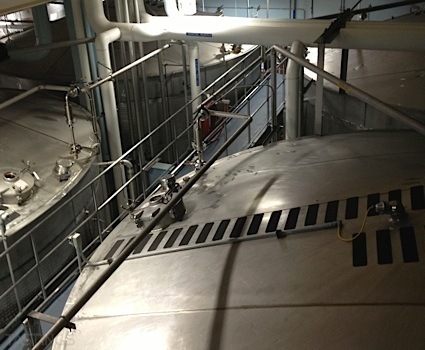 The style has become popular among US craft brewers who often produce them as winter specialties. The chocolate and fruit cake flavors in the brews mean they should be paired with chocolate desserts. 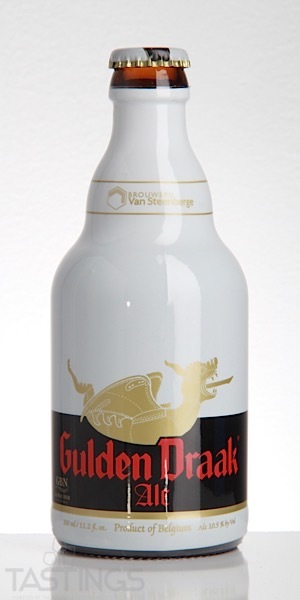 Brouwerij Van Steenberge Gulden Draak rating was calculated by tastings.com to be 88 points out of 100 on 12/13/2018. Please note that MSRP may have changed since the date of our review.